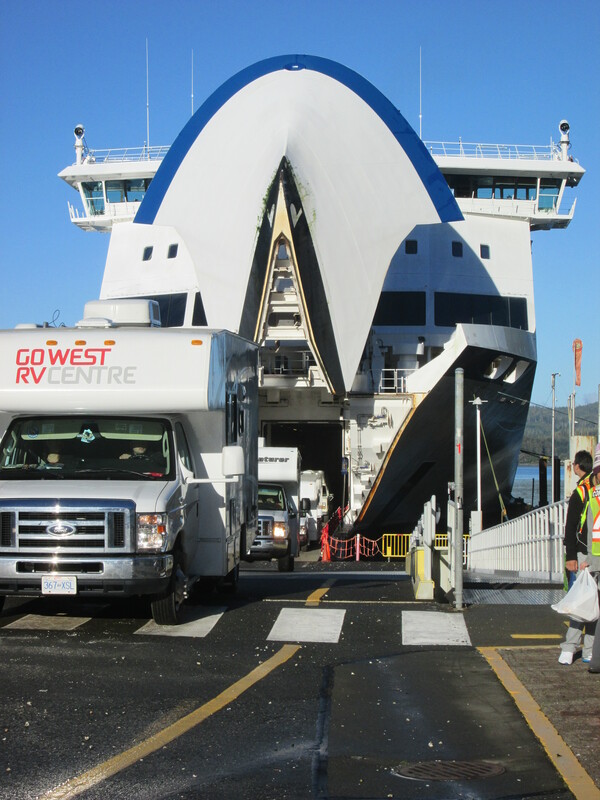 This morning I took the 11 a.m. BC Ferry for Port Hardy on Vancouver Island which is a journey of about 22 hours. Since I was concerned that the prices of food might be steep on both the ferry and the island I called into the supermarket on the way for a big shop. I arrived at the terminal with shopping bags hanging off the bike from everywhere. 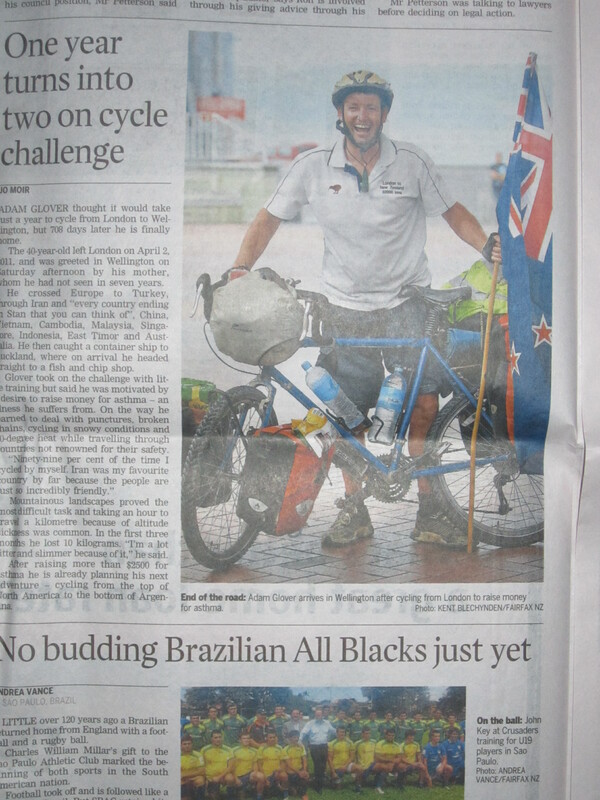 I was surprised to see another cycle tourist at the terminal. Patrick was from France and on his way back to Vancouver. Camping on the BC Ferry is a little different from the Alaskan Ferries. No tents are allowed. I checked outside on the covered sun deck. But the deck was soaking wet so I found a spot inside on deck 7 on a large landing in the stairwell. It was a very quiet spot. I shared it with Patrick and one other guy. Some of the locals were seasoned travellers and came well-prepared with electric pumps and huge double blow-up mattresses. 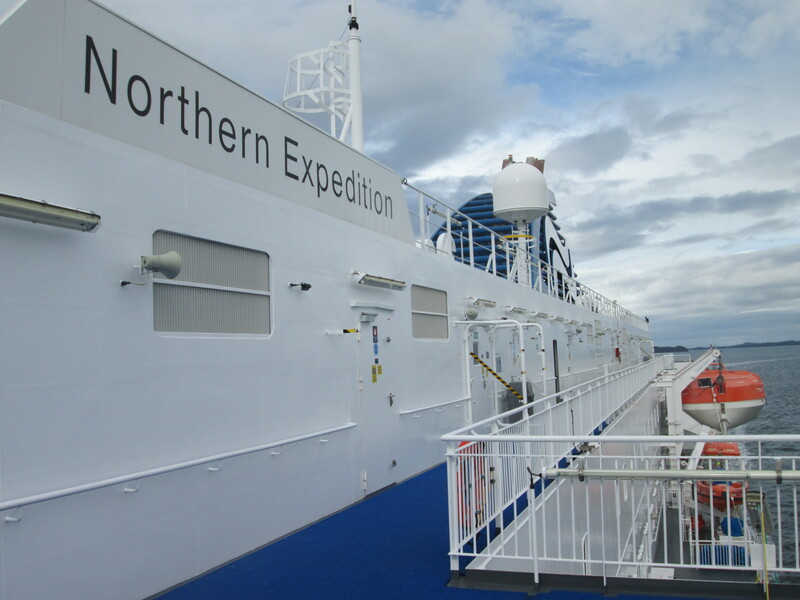 I went out on deck for our departure. Everybody was sent jumping when the ship marked it by sounding its horn. It was so good to see the sun. After so much rain, I appreciate it so much. I went and set up base in the cafe. It was a good move because I soon had a young woman ask me where in New Zealand was I from. I am starting to run into a few Kiwis. Emma is from near Auckland and currently on a one-year Working Visa in Canada. We had a fun time hanging out on the boat. I had planned to try and get my blog up-to-date. I blame Emma for the lack of productivity. I got about 4 lines done in 4 hours. Really, there were lots to see and we were making many trips to the deck to watch some humpback whales, waterfalls and some old towns along the way. 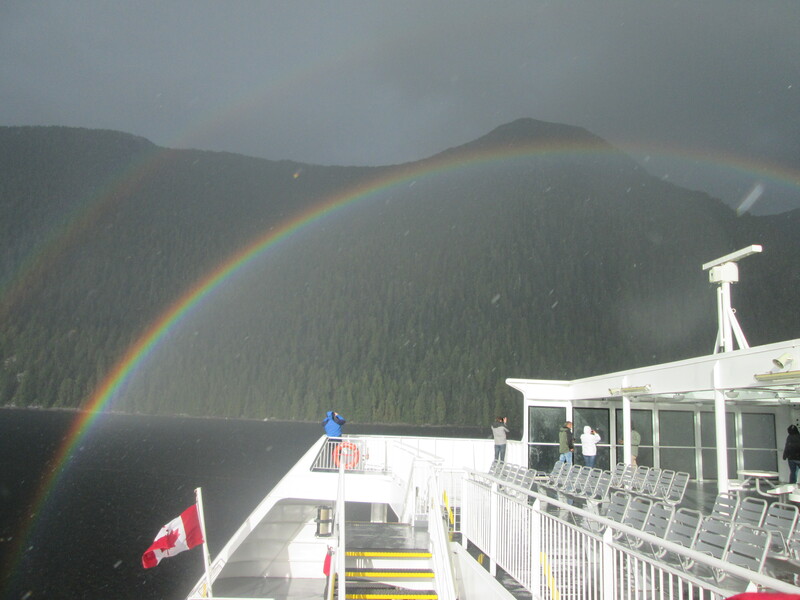 Most of the time it was fine……….later in the afternoon we got some rain which made for some great rainbows right next to the boat. 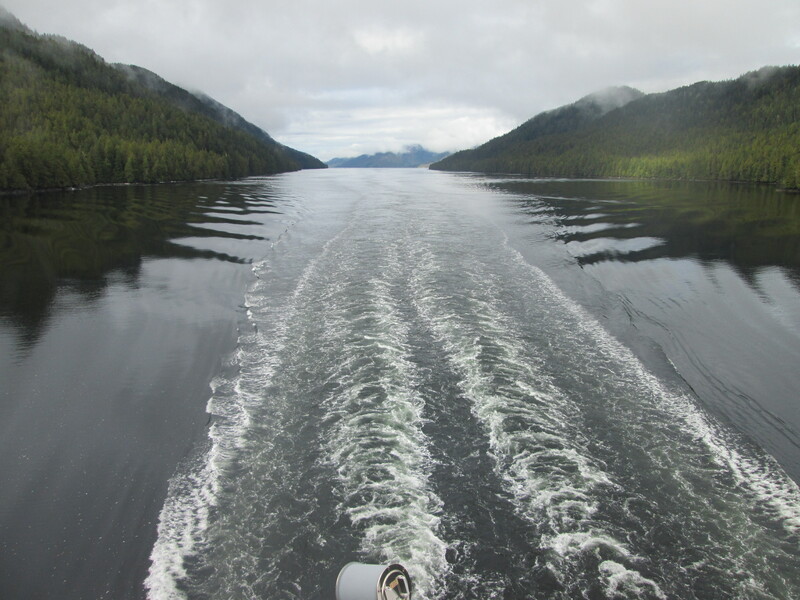 They just followed us as we sailed along the inside passage of the marine highway. Some parts were very narrow and made it more beautiful looking. Patrick the French cyclist very kindly invited me for dinner. After dinner Emma and I went to the theatre and watched a movie, Bernie, a bit of a comedy based on a true story. It was so quiet on the ship last night. There were only 3 of us camping out on the floor on the 7th deck. But for some reason I didn’t sleep very well. I got up and went for a walk around the ship around 4 a.m. Outside I could see nothing. It was so dark. The ship’s cafe opened back up at 6 a.m. So I packed up and relocated there. I brought so much food with me on the boat…………I have hardly eaten any of it. I was able to make 4 cheese and tomato croissants for the road today. The sun soon started to come up to reveal a stunning morning. The water was dead still. Birds were flying low and fast over the water. Lots of small islands soon came into sight. It was 16 km just to get back to the main road and some of that was a climb with a 13% grade. But first I went and checked out the resort which is built on stilts around the edge of the cove. Most of the buildings are the original ones from when the Canadian Air Force was here in the secondnd world war. They commandeered the sawmill for the war effort. At breakfast we had 3 cheeky jays (birds) visit us for our crumbs. They had little fear. For the first hour or so it wasn’t looking good with the fog hanging around. But it did eventually lift for another lovely sunny day. We have gone inland to cross the mountains to get to Campbell River on the coast. Apart from a few lakes, the scenery is pretty average. It seems the pristine cleanliness of Vancouver Island is a myth because Highway 19 is the litter highway. $2000 litter fines are not working. It was sad to see so much rubbish everywhere. Just outside Woss was a rest area next to a lake. After cooking dinner, the usual pasta, pepperoni, olive, onion, and courgette. 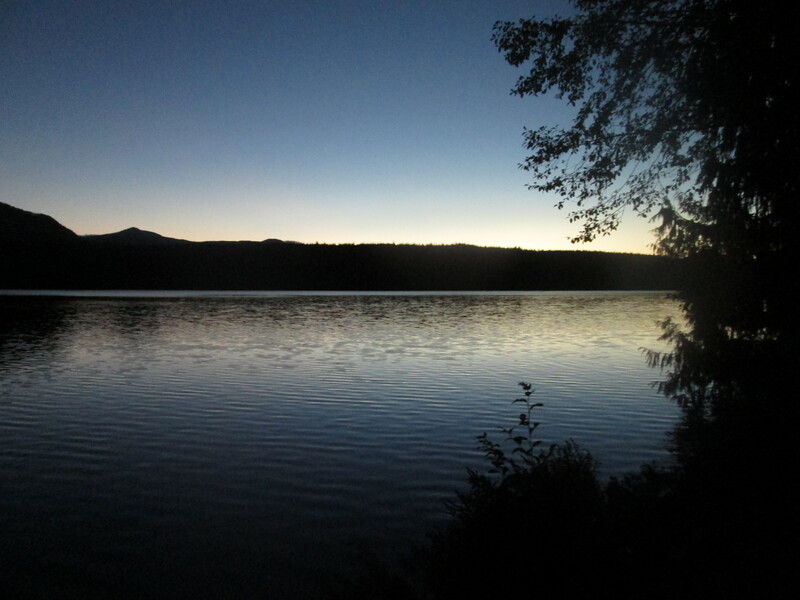 We went down and set up our tent on the lake’s edge in time to enjoy a very pleasant evening. 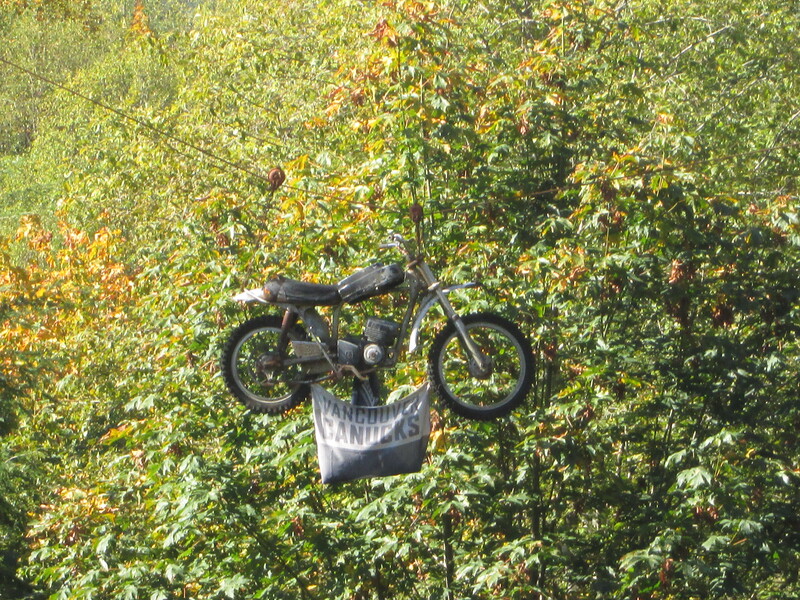 A slightly strange sight of a motorbike hanging up in the trees. With the sun out. It was such a lovely day to be riding and the kilometres were coming very easy. By 12:30 p.m. I had done 90 km. Shortly after lunch I came across a long line of traffic. 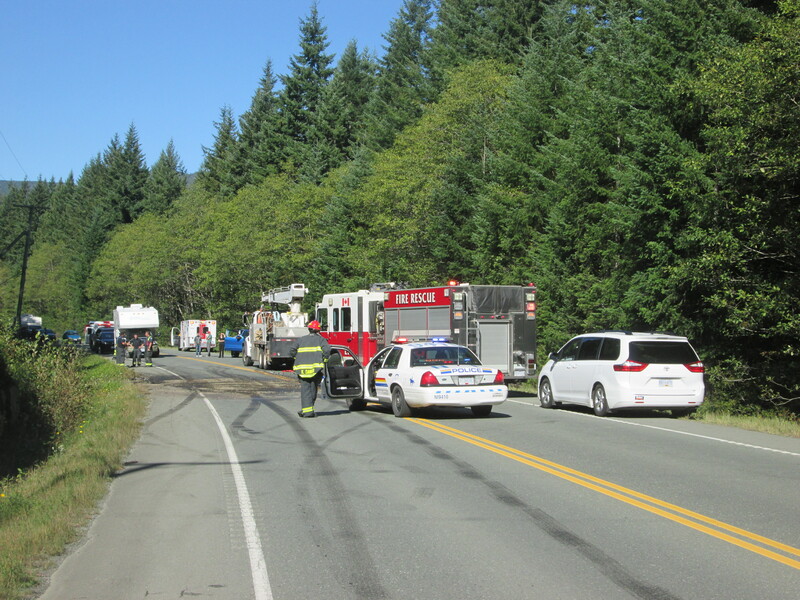 The road was blocked in both directions due to a fatal head-on collision between a SUV and a BC Ferries truck after the SUV crossed the centre line. On first accounts, the SUV was driving erratically, overtaking and that alcohol was involved. The two guys from the BC ferry truck walked away ok. The passenger of the SUV died and the driver was medivacked. I cycled right up to the front of the line and talked to a few guys who were first on the scene. They said they came around the corner and were met by a cloud of dust and steam and bits of debris rolling around everywhere. First talk was the road was going to be closed for about 4-5 hours. I waited a little while till the driver had gone and a guy pushing a motor bike came through from the other side. I asked if he had just gone on his own accord or if he had asked. He said he had been given permission to cross the crime scene…………so I quickly took the opportunity to cross myself. I had to pass through a field of oil and debris. Was happy and lucky to be on my way again. Pushing on I arrived in Campbell river at 3:40 p.m. after 124 km. Feeling like I had done a really good workout. I had kept up a good pace all day cycling at an average of 20 km hour. I had Valerie and Rick as “Warm Shower” hosts this evening. Valerie cooked a fantastic meal of pasta, chicken and asparagus. It’s always nice to have something you don’t often have. Despite my long day it was a really nice evening chatting about travel. 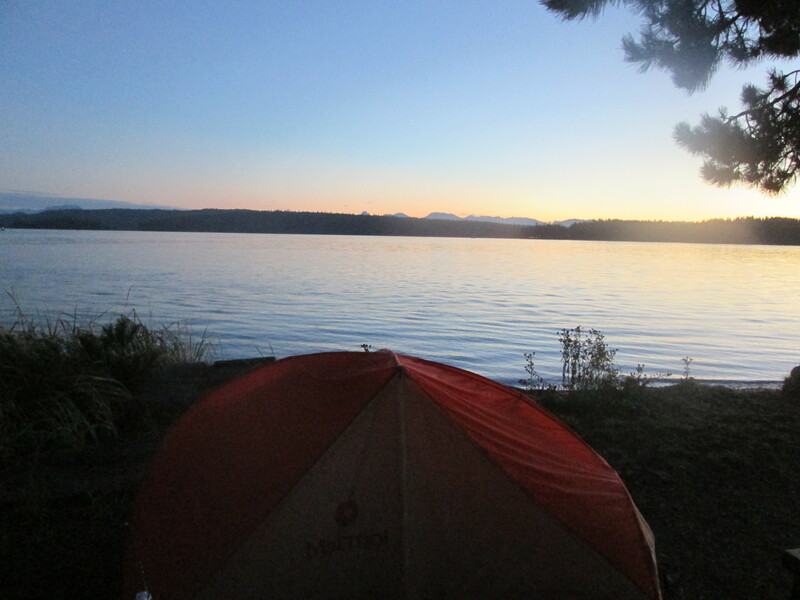 I wanted to stay 2 nights in Campbell river. Unfortunately Valerie and Rick are unable to host me tonight because they have another guest arriving. My departure was slightly delayed when I had to fix puncture number 15 this morning which was probably caused by something I picked up as I went through the crash scene yesterday. Valerie made me a lovely breakfast to start the day. 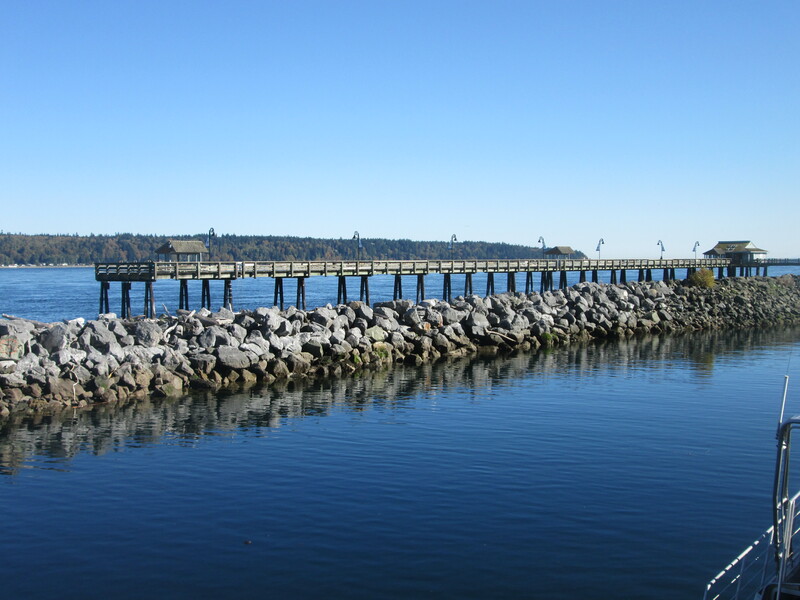 It was a gorgeous day to spend in Campbell River. I hung out on the waterfront. Walking around the marines and docks, watching a few seals and birds and always on the lookout for whales. Late afternoon I headed a short way out of town to find somewhere to camp for free. I found a gorgeous spot a few km north at the end of a small peninsula. I had a wonderful time relaxing in the sun. 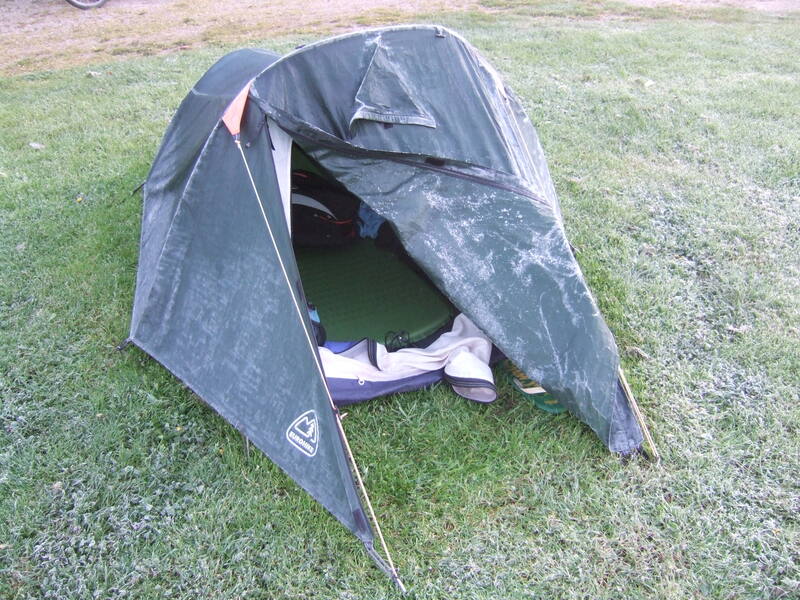 I cooked some dinner and then at about 8pm when it was getting dark, I put my tent up. The peninsula was popular with dog walkers for good reason. In the night I woke up at about 1 a.m. and could hear someone walking along the beach. Then I heard a huffing noise and realised it was a seal. There were a few of them around me. 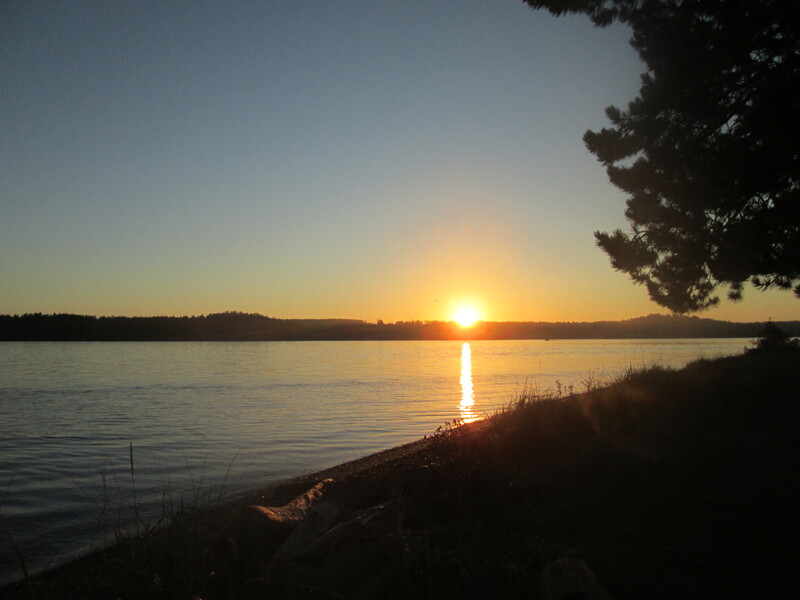 It was so nice waking up on the point with such a lovely sunrise and a hype of activity with birds and boats passing by. I went into town for breakfast and it was midday before I started to head south. As soon as I rounded the corner I cycled straight into a thick sea of fog………..I was wondering what is going on here………..it stayed for most of the day. It made cycling a bit scary. I spent tonight with “Warm Shower” hosts Debby and Tom who used to be a Bush Pilot, out at their semi-rural property about 14 km from town. I saw my first deer on the Island as I headed into Courtnay. Debby and Tom recommended a very nice river trail to take south. It went around an inlet passing a small airfield on one side and the river on the other. A lot of the towns along the coast were created to become ports for the export of coal and timber. I stopped at a couple of these along the way. Not much really remains. 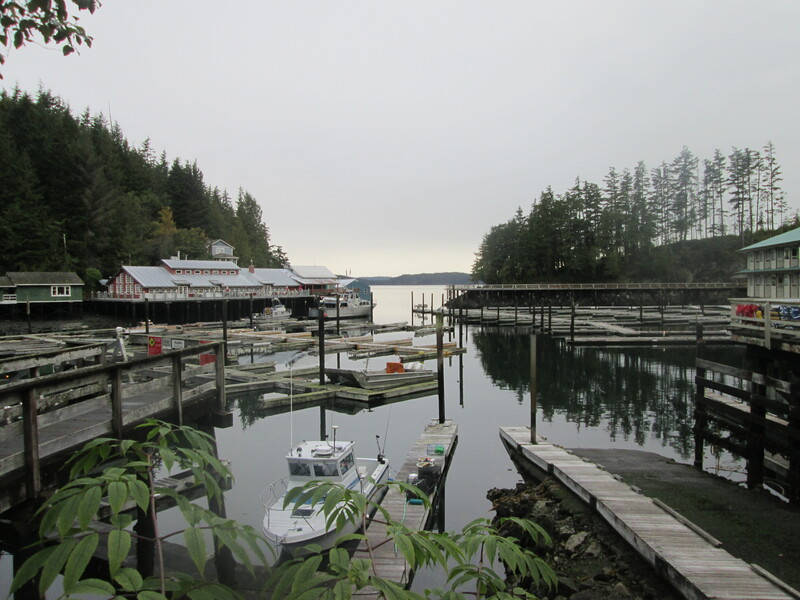 Oyster farming seems popular along the coast. 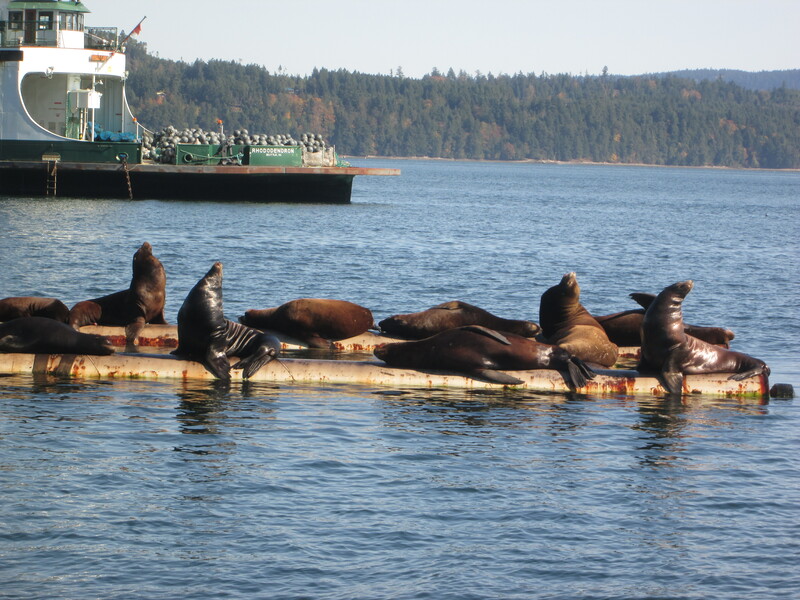 I called into one whard and there was an oyster boat and behind it was a floating pontoon with 50 seals or maybe sea-lions sunning themselves on it. 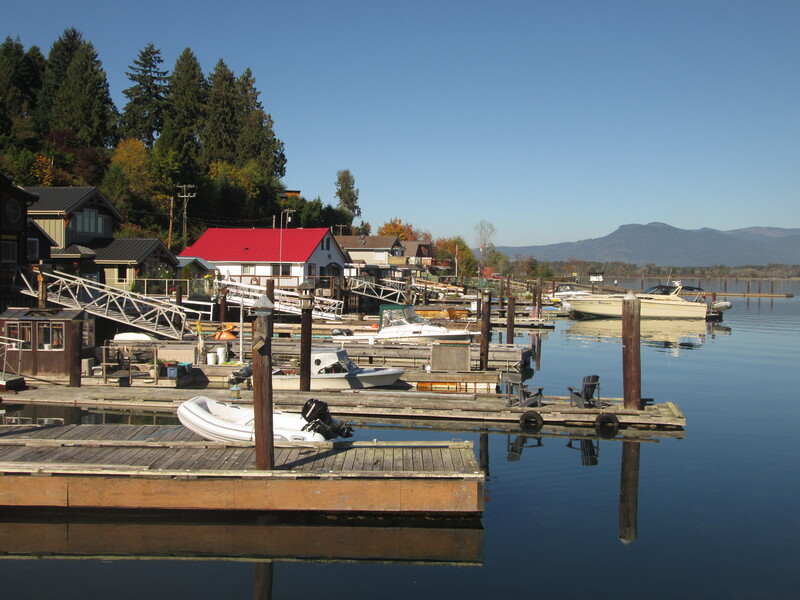 Tonight I stopped in Qualicum Beach, a bit of a posh seaside town. 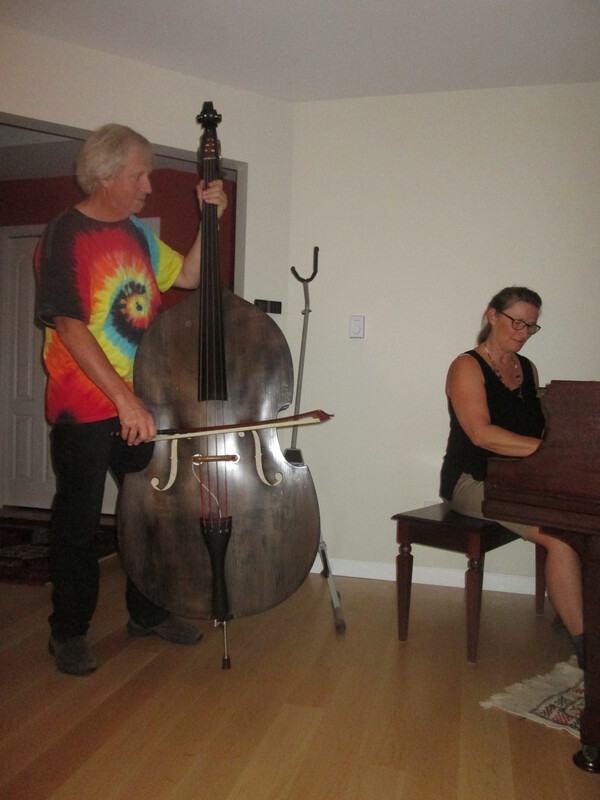 I had great “Warm Shower” hosts Diane and David who are very musically talented and even put on a little performance for me with the bass and a grand piano and some vocals. It was awesome. The ride today was very coastal. 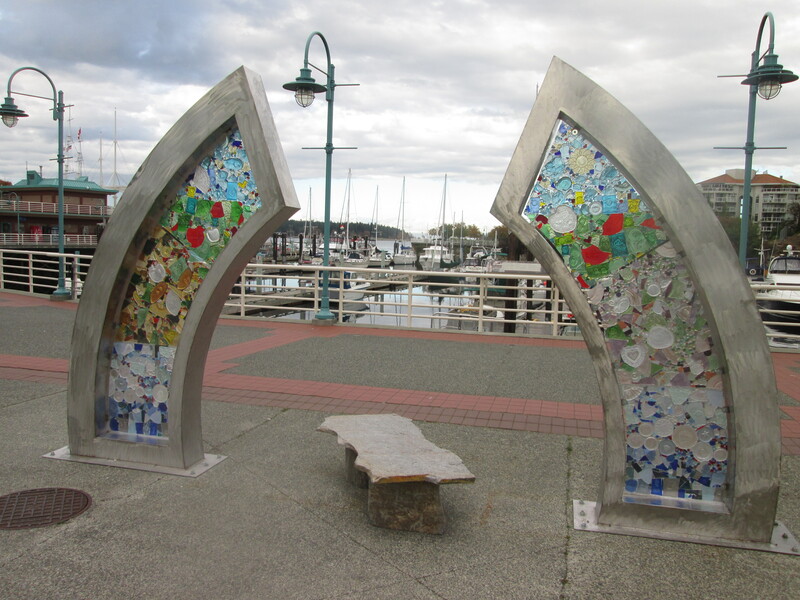 I took the back roads along the water’s edge in to Nanaimo 2nd biggest city on the island at 100 000, before finishing on the waterfront trail right into down town. I arrived pretty early so I had time to wander along the waterfront before weaving through the old town. So tonight, my “Warm showers” hosts are Tyler, Laura and their two boys. I would describe them in a good way as very earthy people. With the sun out this morning I quickly went into Nanaimo to take a few photos with the nice light. Then I made the mistake of being tempted to have a hot breakfast. The eggs Benedict were slightly mini and seemed overpriced. I left feeling a little hard done by. It was a pretty easy ride down to Duncan. I mixed the main highway with a few back roads. I am trying to make a point of calling in to visit the small towns along the way. Ladysmith was interesting. 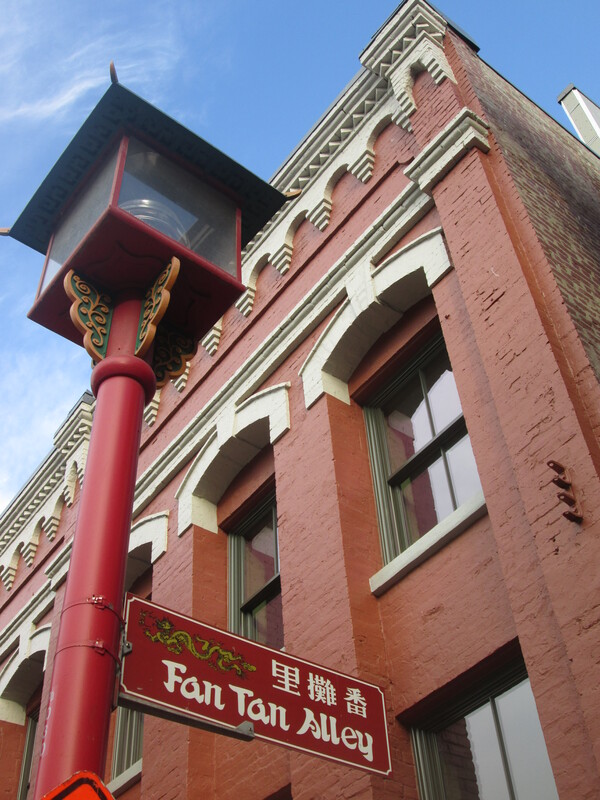 Old relics from the pioneering days were displayed up and down the street. 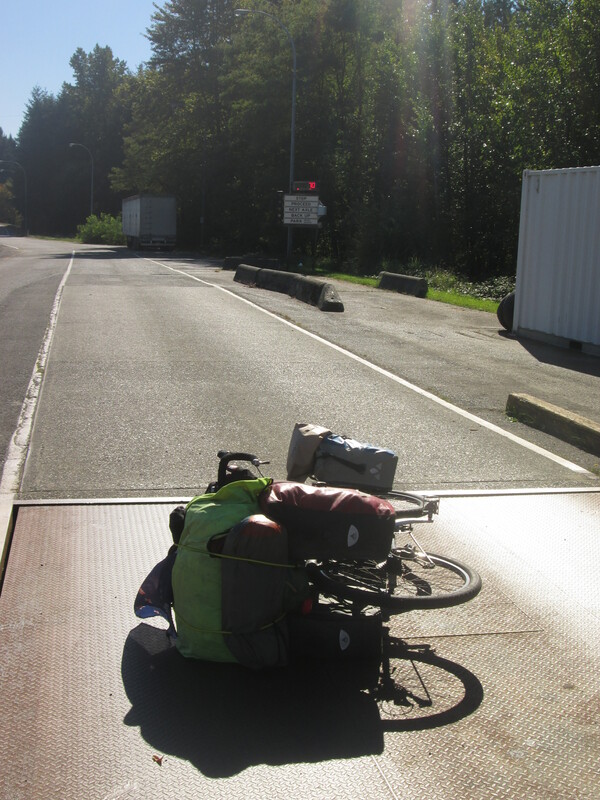 I passed a weigh station just before Duncan. It was closed. But I realised the scales were on. So I swung around and got on the scales. 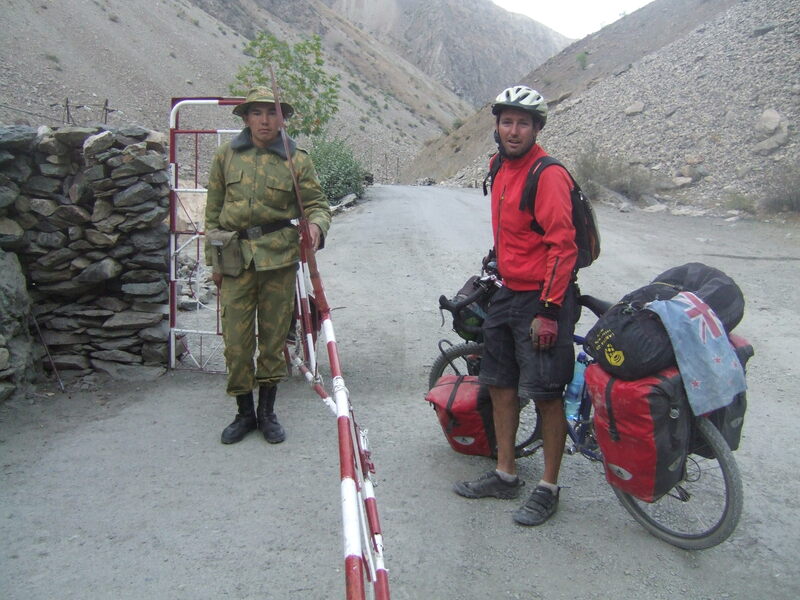 The bike and I was 150 km. I then left the bike on the scales and the total was 70 kg less 15 kg for the bike…………that is 55 kg for the luggage alone! I am having a really good run with “Warm Shower” hosts. Last night I stayed with Alan and Sandy on their lovely semi-rural property. This might sound funny…………I am actually starting to miss camping……….but hey there will be plenty of time for that. 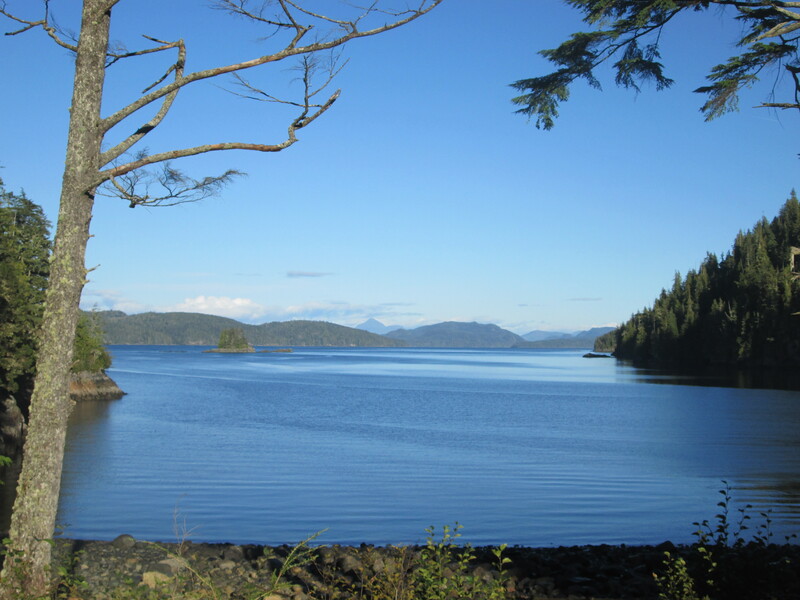 I arranged to meet Emma who I meet on the boat from Prince Rupert. She is Wwoffing for a few weeks about 20 km away. 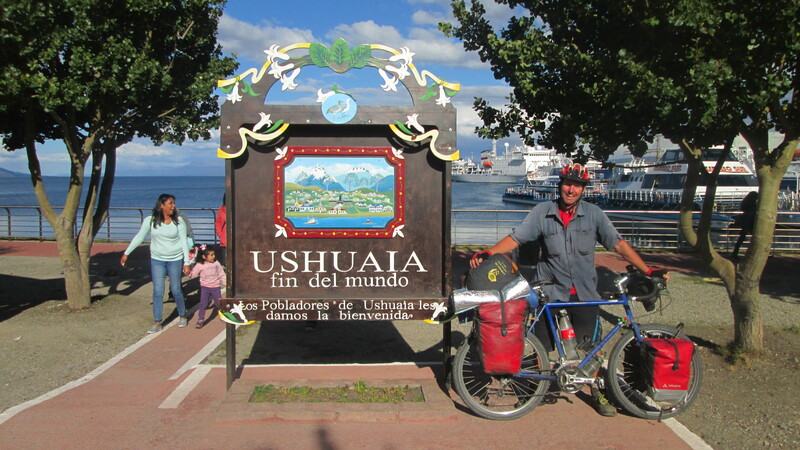 I cycled and she drove with her fellow wwoffer Ulysse from France/Canada and we met down at Cowichan Bay. It was a gorgeous day down there; a really pretty seaside town. Calm water and all the shops and houses back onto the water, overlooking the marina full of boats and even 2 storey house boats on barges. After coffee we walked around the Marina for a while. My plan was to camp here for the night. In the afternoon I went down to the local park next to the water’s edge. I was instantly invited to join a local family lunch. It was a very pleasant afternoon picnicking in the sun. I have now kindly been invited to camp in their yard for this evening. First thing this morning I cycled up to Coble Hill to meet Emma for a coffee…………..before continuing on to Mill Bay to catch the ferry across the bay to Birchwood Bay. From here I had a good cycle on a 23 km loch side cycleway all the way into downtown; passing pumpkin farms, golf courses and the posh houses in town. I have been lucky to find “Warm Shower” hosts Gordon and Ruth who live in a large nearly 100-year old house really close and handy to town. It was so awesome this morning. 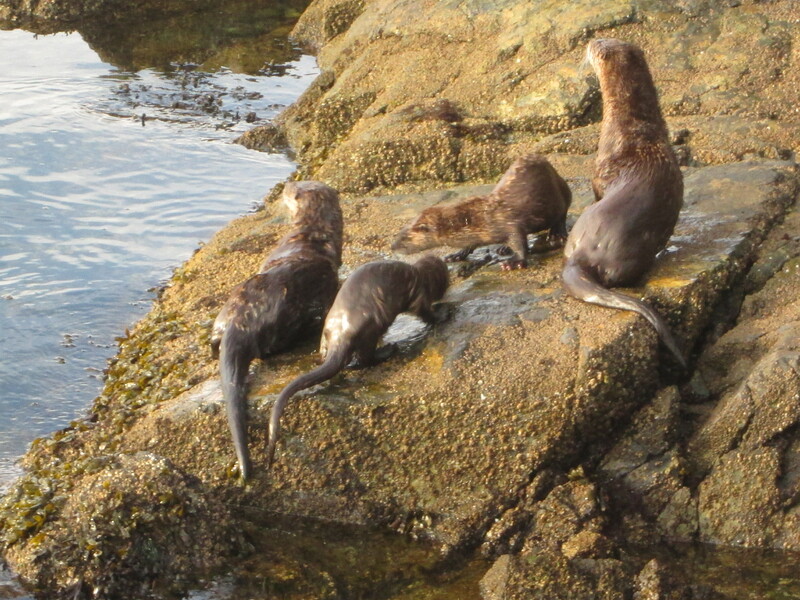 I started walking into the city along the waterfront and came across a family of sea otters playing in the bay. 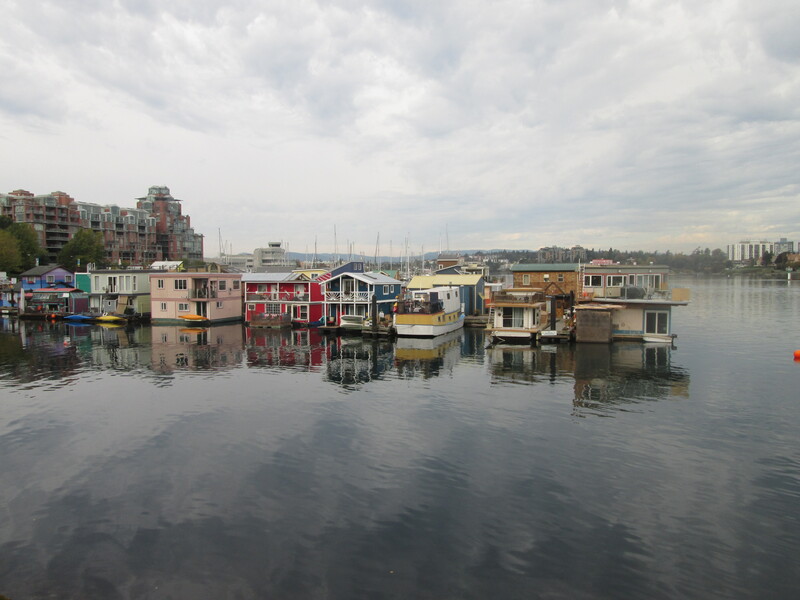 I went round as far as the houseboats and docks full of restaurants. 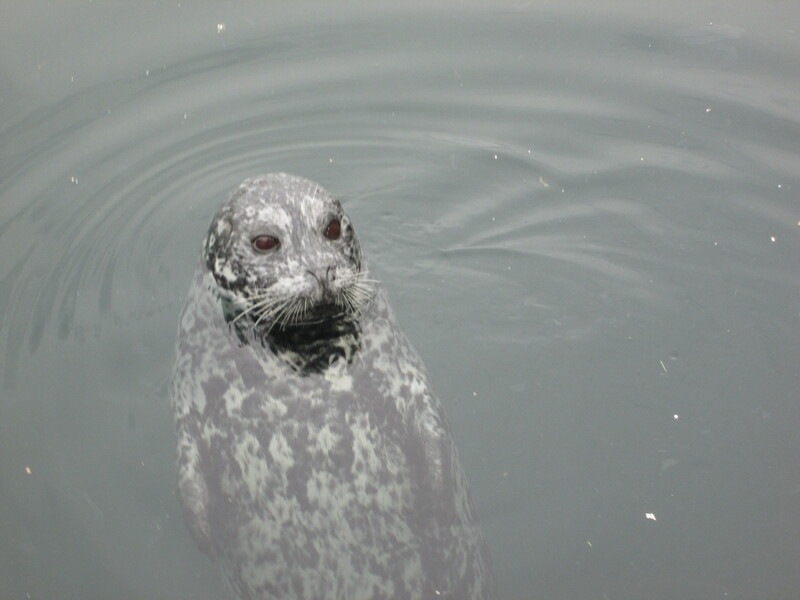 There are about 5 friendly seals that hang out here waiting to be fed by the tourists. 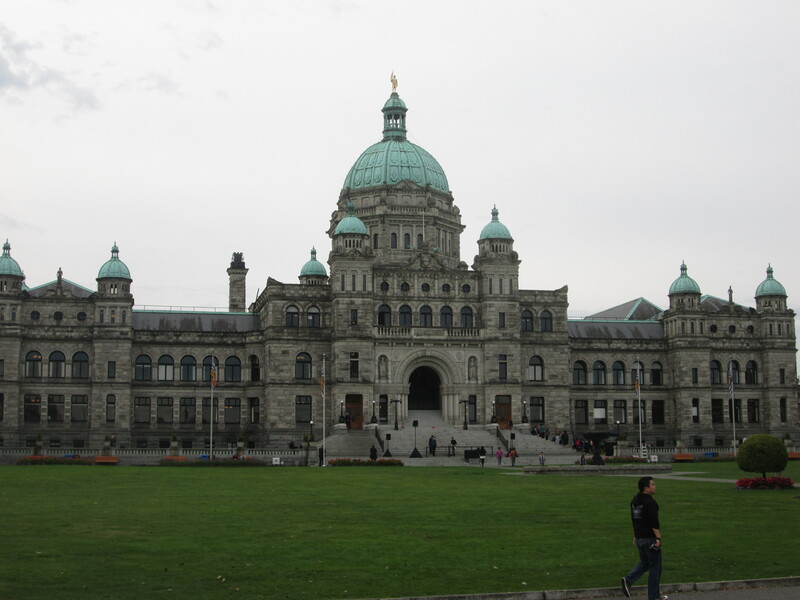 The British Columbian legislative building stands out and can be seen from all round the waterfront. I did a self-guided tour and finished up visiting the debating chamber. After 10 sunny days, sadly the rain is back for my last day on Vancouver Island. It is 33 km out to the Ferry terminal. The great thing is the loch side trail goes all the way from down town to the ferry through covered woods, over long periods of boardwalks and beside the coast. I was pretty drenched when I got on the ferry for the 1 hour and 30 min crossing to the mainland. 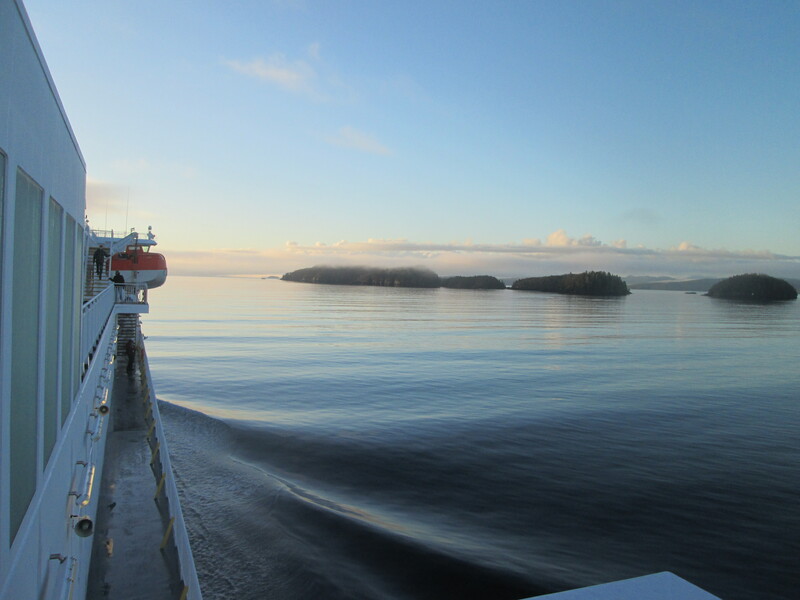 Its normally a very nice crossing as you pass between the Gulf islands. With the cloud and rain………you could see little. Cool moment – cyclists were first off. Although it didn’t do me any good because I teared off and ended up a bit lost. I got to the point thinking this isn’t right if I go any further I will end up in Vancouver. 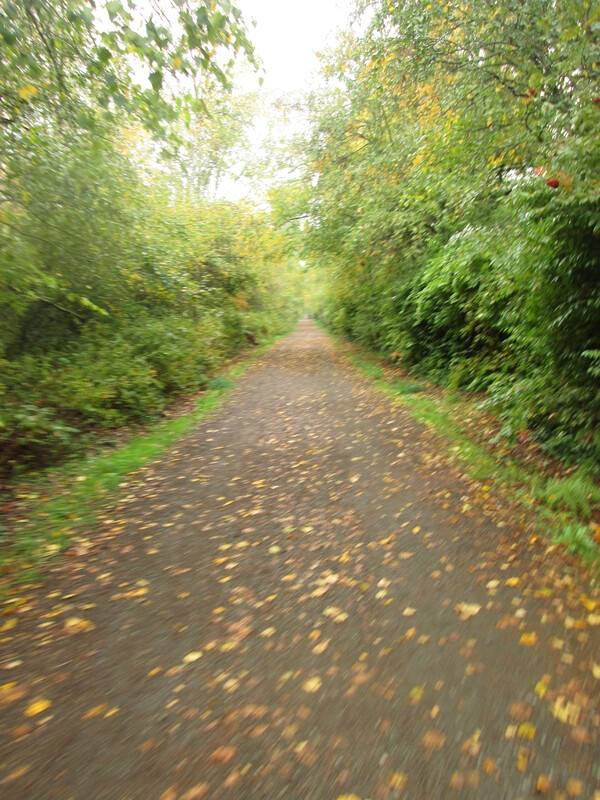 After stopping for directions I ended up cycling back along the dike………..again too far. I asked for directions and was told if you go down there you will be in America. After about 1h 45 mins I made it to my “Warm Shower” host Diane and her English visitors Brenda and Roland. We had a fun evening. Eating, drinking and telling stories. 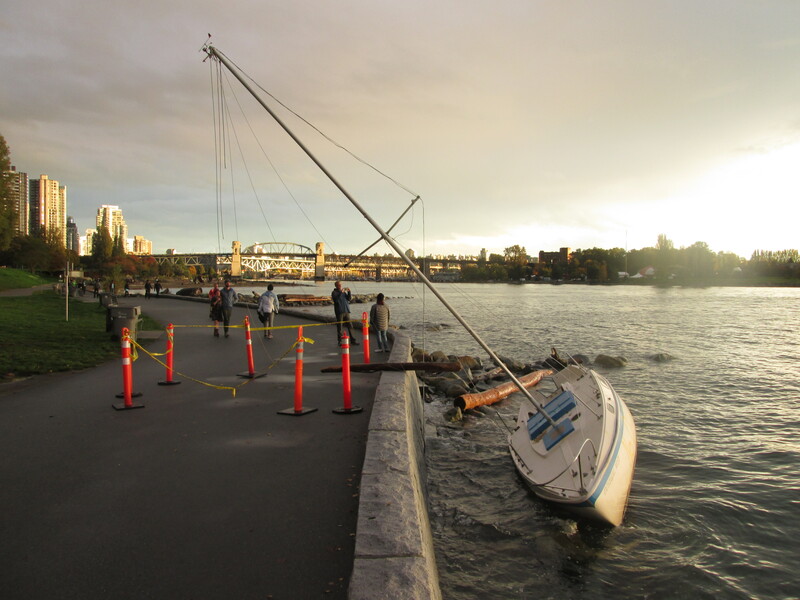 I had better luck cycling into Vancouver today. Diane gave me some good directions that took me away from the highway and along the river. There is a tunnel along the way. Cycling is banned through it. So I had to wait over an hour for the free shuttle bus to take me the 2 km to the other side. 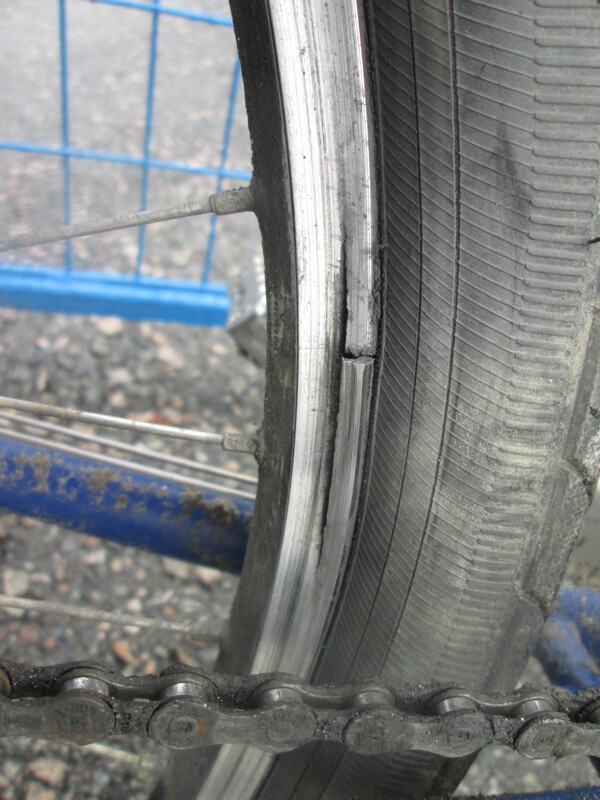 Getting my bike off the back of the shuttle I noticed my rear wheelhad cracked. So it was a more cautious ride into the city, till at least I can get the wheel replaced. The last 15 km into the city started on an old railway trail that took me up to Richmond. To cross the Fraser River there is a clip on bridge on the side of the sky train. 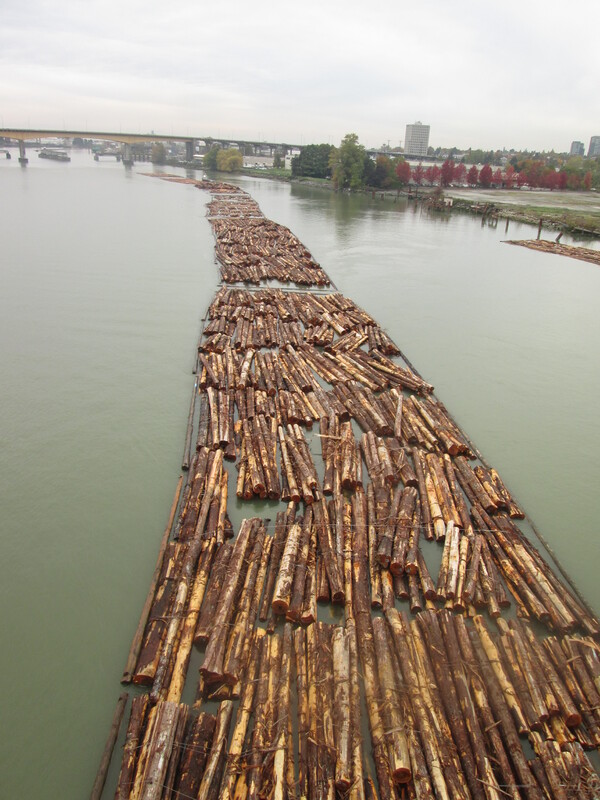 Coming down the river was a tug pulling a raft of logs destined for the mill. Getting into Vancouver was a lot easier than I thought. I am staying with friends from New Zealand, Hayley and Brett who I also stayed with in Singapore on my last trip. 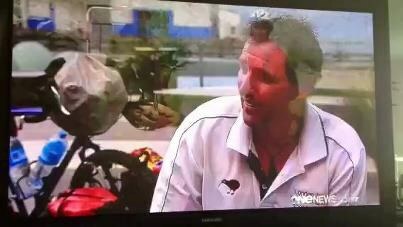 They have an apartment near Camby……….just across the water from down town. On arriving, my first priority was to go straight out and find a bike shop to get the wheel fixed. I am lucky we are only 15 minutes away from a street full of bike shops. The first 3 couldn’t help and I was getting a little concerned until I was directed to the Surly dealer. Glad they can do it at such short notice. First day in Vancouver and I went out and watched the rugby New Zealand v Tonga, first game of the World Cup I have been able to see. in an English Pub, full of Kiwis in to watch the game. 47-9 was a good result. 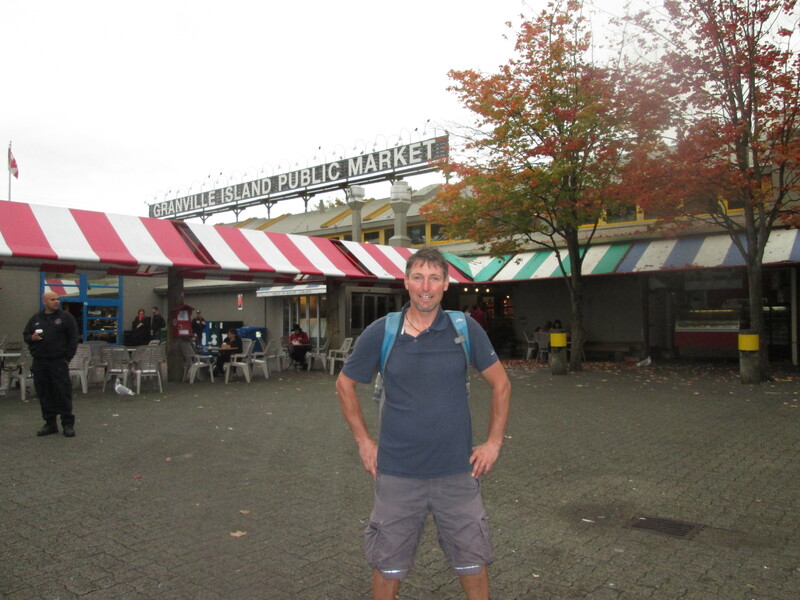 Afterwards Hayley and I walked down to Granville Island a mixture of markets, boat yards, restaurants and parks, before continuing the sea wall walk along False Creek back to the apartment. On Saturday Hayley, Brett and the boys went to Seattle for the long weekend. They have very kindly let me stay in the apartment. The rain finally stopped around 4 p.m. and I was able to get out for a huge walk along the sea wall. 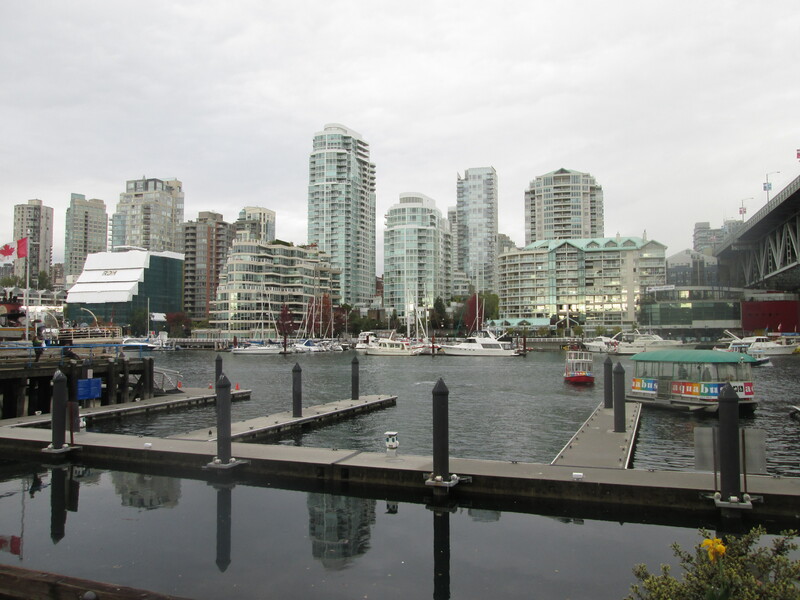 False Creek has been all redeveloped with Condos, parks, cycle and walking trails. The past history of some of the factories has been incorporated into this. The break in the weather brought lots of people out on to the sea wall. The light was good for taking photos. I walked all the way out to Stanley Park. Recently there had been a storm and two sailing boats had been wrecked on the rocks. Sunday was a perfectly clear day. I took my loan bike out for a spin into the city. The chopper felt funny at first, single speed and I think I was a bit big for it. I picked my bike up in the afternoon $400 for two new wheels, brakes and bottom bracket – wasn’t too bad a price. I ventured back out into the city. Gas town was cool with the steam clock. I came across Henderson Street which was out of this world. All along the sidewalk homeless people have set up camp. I was constantly been asked for money. 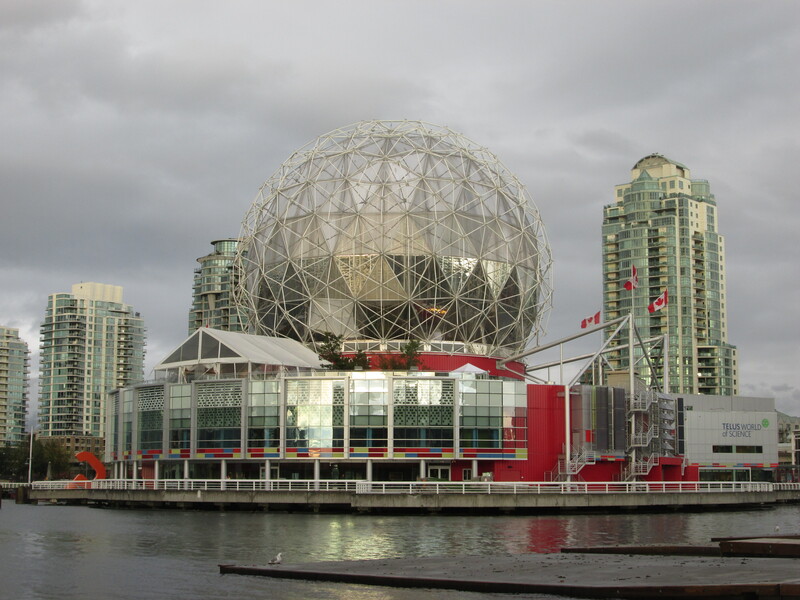 In general, there are a lot of homeless people in Vancouver. I had a shocking day trying to get myself out of Vancouver and South East to Mission to visit my friend Jessica and her family. I got lost trying to take the cycle trails. Then when I got to Cochin I thought it would be nice to leave the highway to visit the town. I assumed you would be able to just rejoin the highway. Instead I found myself going up and when I stopped to ask was told I was heading to the mountains and needed to go all the way back the way I came. I finally got to Mission around 6 p.m. and was real close to Jessica’s place, however when I asked for directions, nobody knew. It took me over an hour to finally find it. I might have been a little late but I still got a huge welcome………..from Jessica, Andre and their 3 girls Ella, Harmony and Julia who had taken the time to make a welcome sign. I met Jessica back in 2003 when I was last travelling Canada. It’s really nice to catch up after all these years. 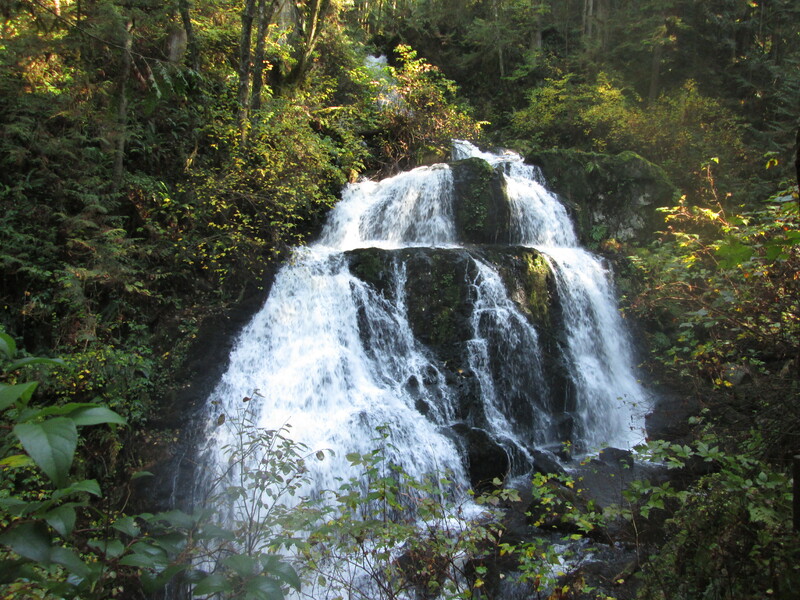 A productive day with a visit to the bike shop to buy a few things with my last Canadian dollars, followed by a walk in the forest to visit a waterfall. Finished the day by changing a slow puncture on the front tyre and Jessica helped sew on a new strap for my front pannier. After a nice pancake breakfast. 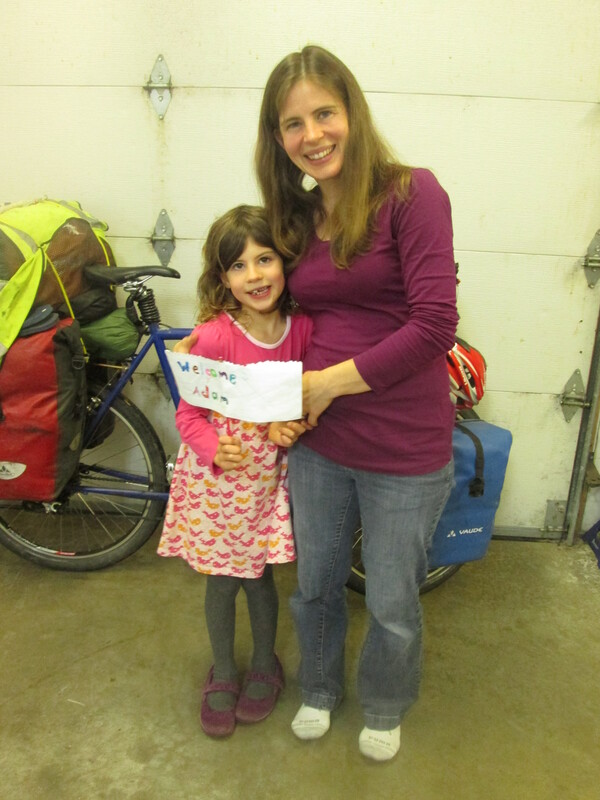 I got a good send-off from Jessica, Ella, Harmony and Julia who cycled with us for the first two blocks. After crossing the mighty Fraser River it was 24 km to the border. Too beat the long line I cycled straight up to the customs building and walked the bike through as if I was a foot passenger. It was quick and easy. Although the customs officer was slightly alarmed and asked if I was carrying gas – it was a strong smell even I could smell it. I thought Oh Boy this could be trouble. It was coming from my bottle for my gas stove, the lid was a bit loose. I explained and he was okay about it. Soon after crossing the border I was back in the countryside. 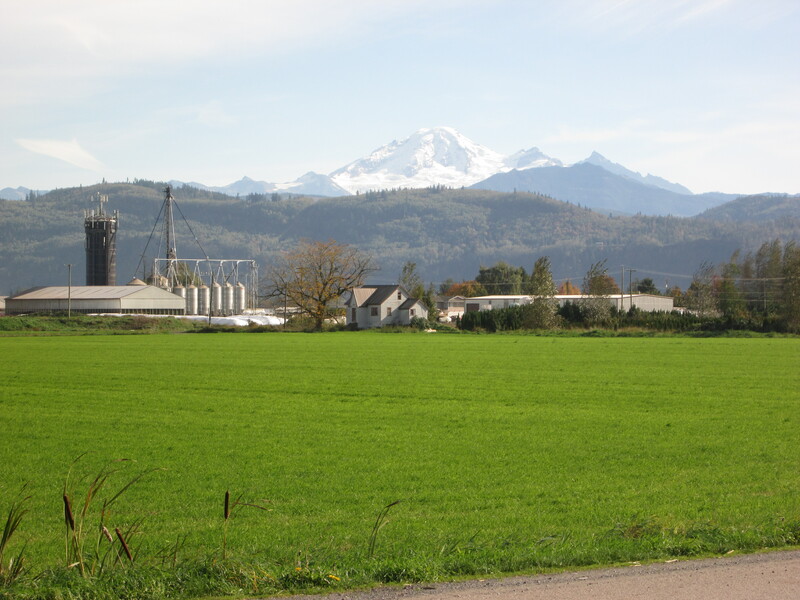 There was that strong country smell, lush green fields with mountains and a glacier in the background. It starts getting dark around 6:30 p.m. I stopped just in time, finding a spot to camp on the outskirts of Bellingham behind a transmission tower just off the highway. While I was cooking my dinner I had some deer creep up on me. I didn’t notice them till they were only about 15 metres away. I thought I am glad it wasn’t a bear sneaking up!